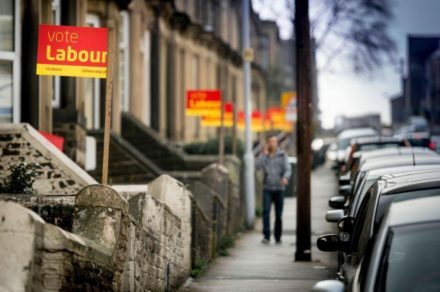 All eyes are on Labour’s candidate selection for the Lewisham East by-election. That’s partly because it’s a safe Labour seat, so the internal Labour contest is basically the by-election itself, but it’s also due to the numerous splits that the race is highlighting. This is the one everyone knows about: right versus left. The Blairites/Brownites/Labour First/Progress lot going up against both old left-wingers who’ve stuck it out and fought the good fight for decades (à la shadow cabinet golden trio, Jeremy Corbyn, John McDonnell and Diane Abbott) and the new members who are often Momentum activists too. Generally, the media reports on Labour splits only until this point. The leadership, shadow cabinet, membership and NEC are now all controlled by the Corbyn-supporting Left of the party. Corbynsceptics have majorities only on a local government level and in some CLPs. Lewisham East is one of constituencies in which the membership is overwhelmingly of the Left but Corbynsceptics retain control of the CLP executive. Somewhat surprisingly, the NEC’s shortlist for Lewisham East did not consist only of three left-wing candidates as expected. Ian McKenzie, chair of Lewisham East CLP, demanded a “broad political choice” and was granted his wish. He is said to be “absolutely delighted” by the inclusion of Janet Daby and Brenda Dacres. The longer-than-expected shortlist shows the NEC is confident that, although the Left is split in Lewisham East (more on that below), the local membership is such that the real race will be between Claudia Webbe and Sakina Sheikh. This split first came to the attention of those not embroiled in Momentum daily business when the grassroots campaign group’s founder Jon Lansman put himself forward to succeed Iain McNicol as Labour general secretary despite Jennie Formby – the former Unite political director backed by Corbyn’s office – having already been touted as a frontrunner. As we all know, Lansman eventually pulled out and Formby won. In the Lewisham East selection contest, Unite the Union – again, along with key figures in the leader’s office – is backing Claudia Webbe, whereas Momentum has endorsed newly elected Lewisham councillor Sakina Sheikh. LabourList understands that there is significant support on the ground for Sheikh. A Momentum source says “she’s amassed a pretty serious local campaign behind her”. She has “made hundreds of calls” and the local activists who supported her for councillor are campaigning for her again now. The classic internal Momentum split is national versus local. There are Lansmanites, who are thought to take a harder line on antisemitism and aren’t overly fussed about the national co-ordinating group being responsible for endorsements in parliamentary selections. Such members tend to be younger, and at least a handful of those Momentum activists have now joined the leader’s office, the press office or a key Corbyn-supporting MP’s office. The other side is generally made up of older Momentum members. This generation typically left the Labour Party during the Blair era, likely over the Iraq war, and are more inclined to hold a protest outside the New Statesman offices and support Jackie Walker. But the split in Lewisham East is slightly different. There it is the young versus the Alliance for Workers’ Liberty activists (not members, as AWL deregistered as a party in 2015 so that they could join Labour). The Trotskyites are often branded “Zionist” and accused of organising against Jackie Walker.